Even in the heydays of the 1920’s, it was still expensive for steam trains to serve passengers on secondary and small branch lines. 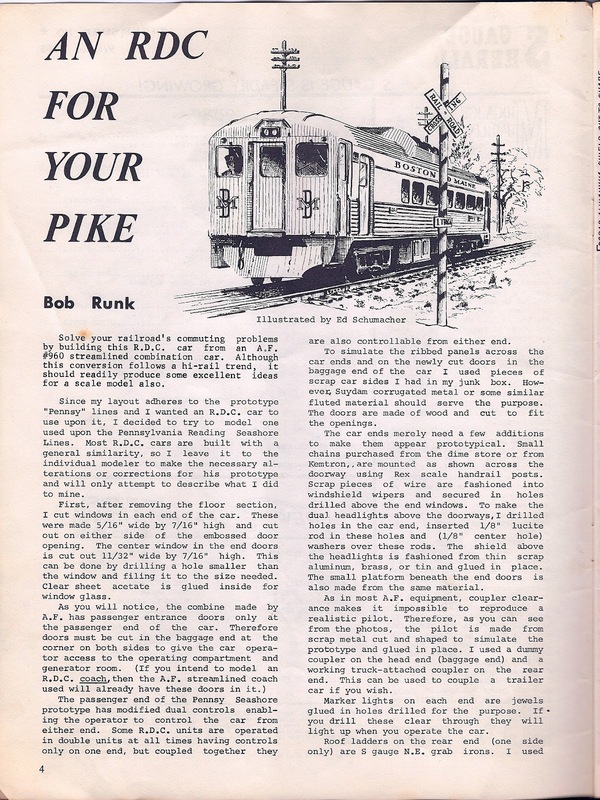 The solution to the high-cost, was low-ridership routes with the Doodlebug. 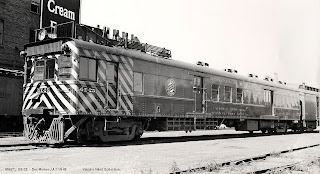 Doodlebugs were essentially a cross between a passenger car and a locomotive. 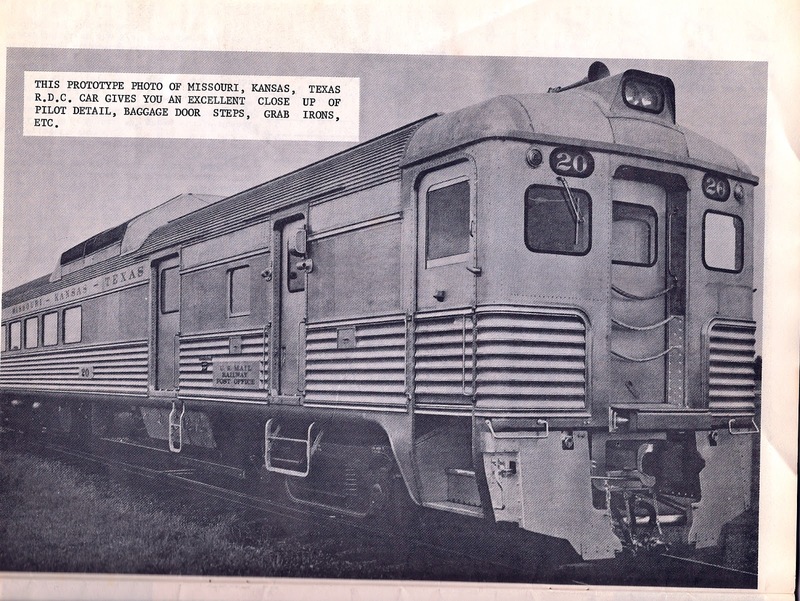 Most were run as a single unit, with the front section being the internal combustion engine. The middle section for the passengers. 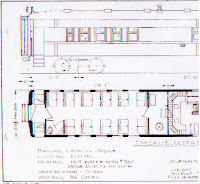 The freight compartment was to the rear of the train. 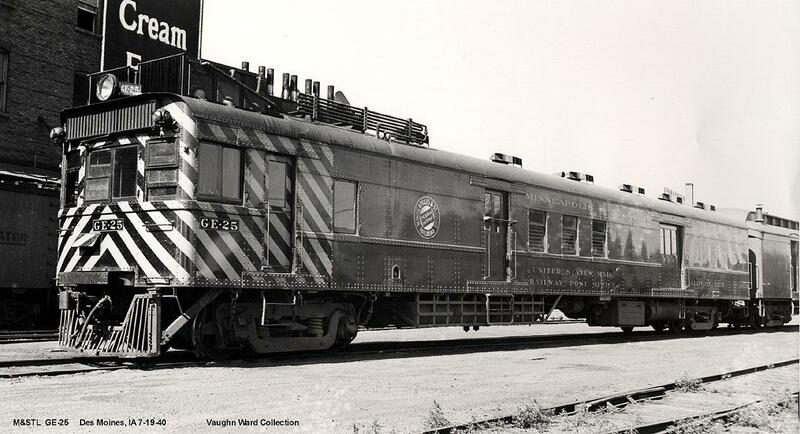 At their peak of popularity the Doodlebugs rode the rails in every part of the country. I used the body from MTH Non-Powered Doodlebug to make the doodlebug.jpg file that is printable. The model train is O scale, so I had to reduce the image to S Scale. 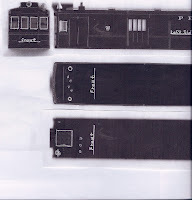 This I did by copying the “body” on a printer and reducing the size by 75% of the original measurements. The new “body” S Scale measurements are approximately 11 5/8” inches long by 1 3/4” inches wide by 2” inches tall. Kit Bashing: Starting to create models from a specific kit, but then deviating from the plans included to create exactly what you want. Kit-Detailing: Following the plans in a model kit, but adding hardware or other embellishments to the model as a personal touch. Scratch Building: Creating miniatures with raw materials like balsa wood without a store-bought kit or plans. There was a brass Doodlebug imported back in the 1980's by "S"cenery Unlimited and a kit in the late 1940's by Dayton Model Products. 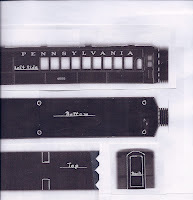 There also is a conversion kit for an On30 Doodlebug that we may be able to use in S Scale. As Doug wrote on CTT forum: On30, is O scale, 30" NARROW GAUGE. It is scaled to 1:48 scale, but runs on track that has a scale gauge of 30". On30 LOOKS smaller than O Scale, because Narrow gauge equipment, typically IS smaller than Standard gauge equipment of a similar type, so it scales out smaller than a standard gauge piece of equipment. 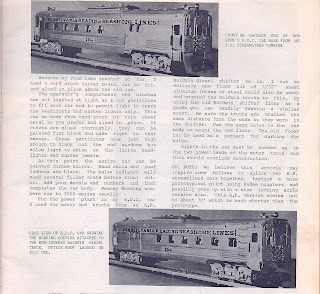 In model railroading any time some thing is identified as XnXX, it is a Narrow gauge item of whatever scale is the First designator, then a lower case "n" then the following # designates the Gauge of the track that the model is scaled to operate on. HOn3, would be 3 foot narrow gauge, in HO scale, Sn3 would be 3 foot narrow gauge "S" scale, etc. If you were to find an "S" scale mechanism, that could be modiified to work with an On30 Doodlebug shell, it might be pretty close, it would be up to You, if it was an acceptable compromise, but it seems to me like it might be a workable option. 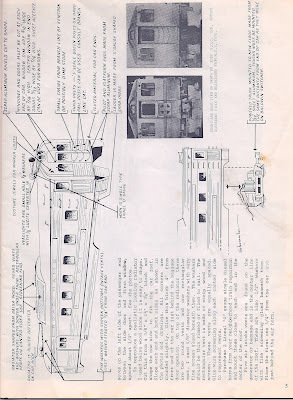 In making the GE-25 Doodlebug. 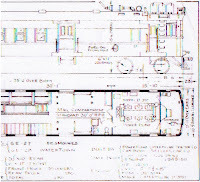 I used these blueprints from this website to print out detail drawing of the Doodlebug. I had to play with the file a little bit to get it to S Scale size. I enlarged the file 200% before printing out pages 3&4 on my printer. This seems match up with the width of the American Flyer diesel shell I have, and also its height. 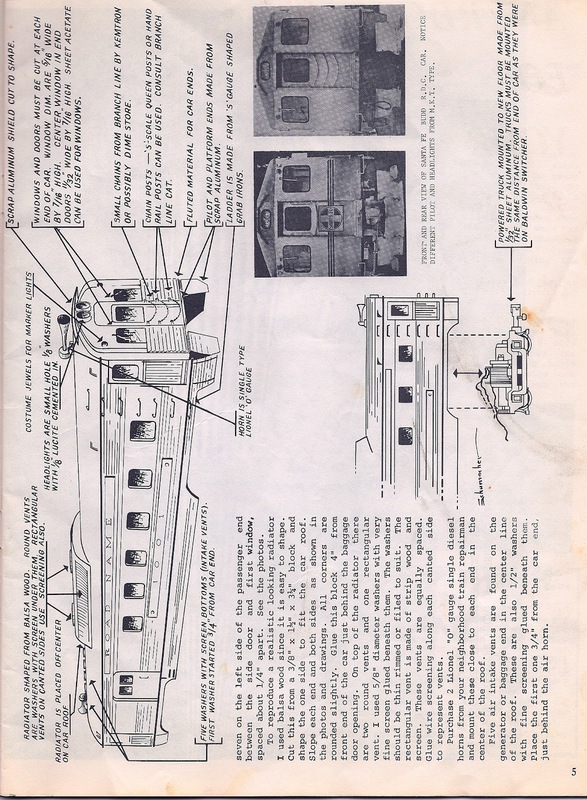 The overall length of the GE-25 Doodlebug body according to the blueprints was 75' feet. The length of the S Scale print I made, seems to fall in the range about 13 3/4" inches long. Since I am going to be working on three dimensions, I will need a good machinist square, to get a real nice straight cut. At the very least, it would be helpful in penciling in cut line on masking tape. Masking tape is also good as a protection or warning edge where you are sanding one area but don't want to risk removing to much detail in the adjacent area. When protected area is covered with the tape, start sanding or filing. The tape protects against unwanted mishaps. When the tape gets really ragged, replace it with a fresh piece. Package of 1/8 or 1/4 in square styrene stock for bracing joints. This project may take a while to develop between scratch building and kit bashing. Please check back from time to time. And as always any help is more than appreciated. Up-dated May 2012: I came to find one of the S Gauge Hearld Magazines from the Winter of 1966, Volume seven, No.6. It had a good article on converting American Flyer #960 Combination Car to RDC model railroad car. The documents in these web pages are provided for informational purposes only and the user assumes the entire risk as to the accuracy and the use of these documents. These pages, graphics, and the information contained therein, are protected by United States and international copyright laws. All logos that are used are trademarks and copyrights of their respective owners. The documents in these web pages are provided for informational purposes only and the user assumes the entire risk as to the accuracy and the use of these documents. They must be copied without modification. All copies must contain applicable copyright notice and any other notices provided therein. These documents may not be distributed for profit.